The House was built in 1895. It is situated in the Camp Washington neighborhood of Cincinnati, a convenient 3 miles from downtown and close to some other great neighborhoods. It’s a mixture of industrial and residential sandwiched between The highway I-75 and a train switching yard. The two-story brick building is based on a “shotgun” style layout, meaning that it is long and narrow. Many shotgun style homes, common to the southeastern U.S. prior to the 1930s, featured a series of rooms that ran from front to back and connected to one another without utilizing a hallway. This is the case in Mark’s house on the first floor. Fortunately on the second floor, there is a hallway connecting the two rear rooms. The house is well built, and features quality, durable materials. For example, the floors are made from a dense pine that can be refinished despite severe water damage. And the exterior brick, as you may notice in the photographs, is a hard brick that has resisted wear exceptionally well. The edges remain sharp and have not started to soften. Our understanding is that the house was originally constructed by a builder working in the area who had high standards and tricked the house out. Mark plans to keep the layout generally intact, with two exceptions; he has removed the doorway and a section of wall between the middle room and kitchen in the rear of the house. It’ll allow Mark to build a kitchen bridging and connecting the two rooms. Second, he’s removed the first floor bathroom so he can rebuild it with a slightly different layout. 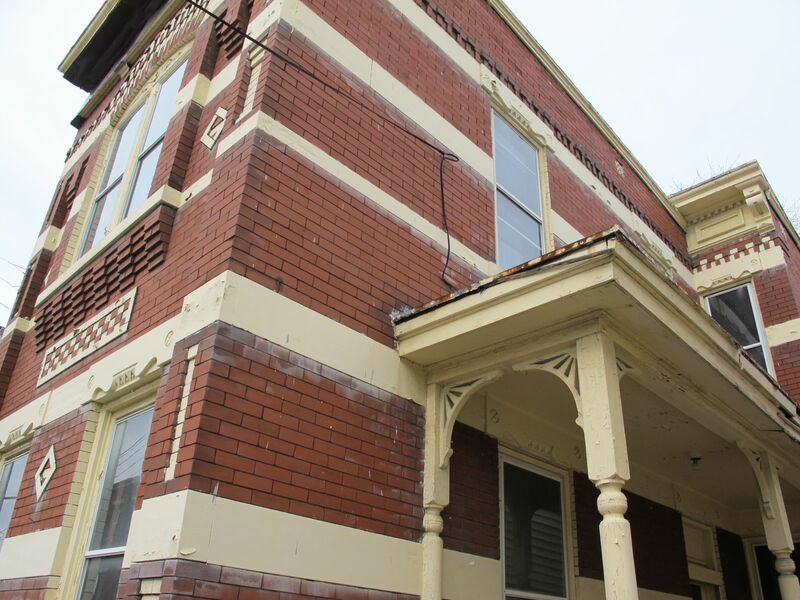 And as you may imagine with a $5000 house, there is an interesting history of ownership associated with the property. 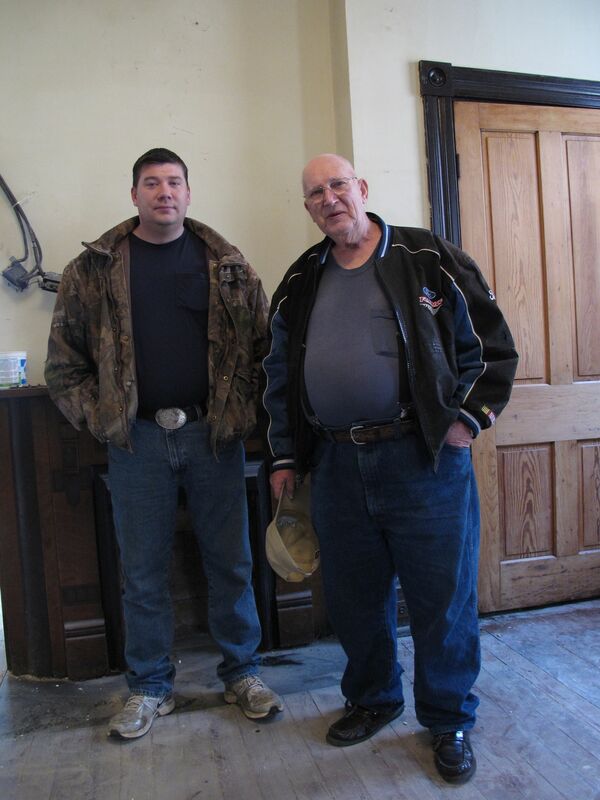 James Vanover was the previous owner, a native Appalachian who now lives in southern Kentucky. His elderly aunt Marie and her husband Robert still live across the street and watch “Gunsmoke” non-stop. James wasn’t living there, and hadn’t for 10+ years. He didn’t want to let go of the house and generally maintained it, until water damage from a leaking pipe and a problematic roof did substantial damage. 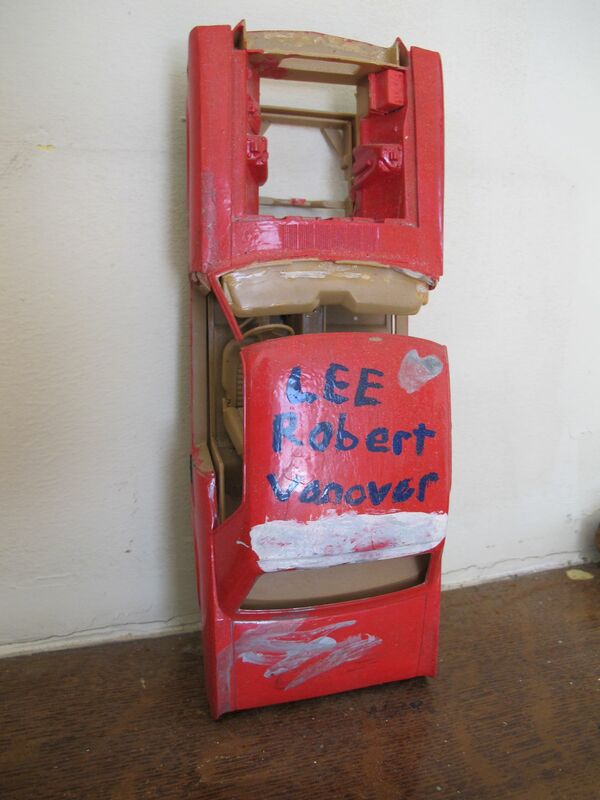 The car is from Lee Roberts' childhood. James first set up a contract with Walt, a friend and character in the neighborhood, who agreed to fix up the house in an attempt to raise it’s value. Walt scrapped the old iron radiators, but was unable to accomplish much else in terms of improvements. Stuck in the middle of a dire financial situation, Walt and his girlfriend Heather actually ended up moving into the house temporarily to take advantage of the power that had yet to be turned off. Living just up the street and unaware the house was for sale, Mark noticed a moving van outside the house. Meeting James for the first time, Mark learned of Walt’s possession and his interest in unloading it. 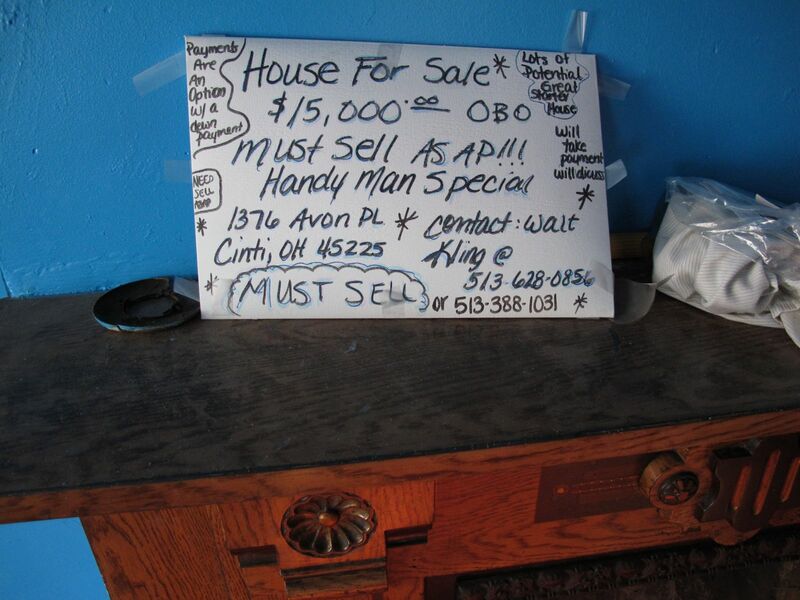 The only way to tell the house was for sale was the handwritten sign in the front window. As it reads, “Must Sell ASAP!!! Handyman Special”. Negotiating the sale of the house was slightly complicated due to the nature of Walt and James’ agreement, and was only exaggerated by the fact that James couldn’t be reached by telephone. Mark had to contact him indirectly by speaking with his aunt, who spoke to family in Kentucky, who finally spoke to him. Quite the game of “telephone”! 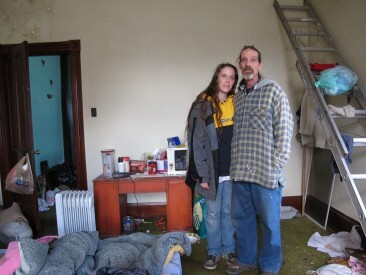 By late Dec. ’11 Mark had possession and finally was able to start the clean up process. What wonderful work in an interesting neighborhood. I wouldn’t say that the house is a true shotgun. I agree that the house isn’t a true shot gun but when built it was close to… By definition one should be able to shoot a gun through the front door, hit nothing, have the bullet exit the back door. Originally There was a door on the front, in the 40’s, I believe, the owners replaced it with a window and bricked in the lower section. Also the front and the back door didn’t line up. So by definition the house isn’t a true shotgun but it’s in that architectural vernacular: Rooms as wide as the house, three deep.